I have always been interested in the human brain and have dedicated my career to investigating this complex organ to better understand neurodegenerative diseases, and to use our research findings to develop treatments, and one day, cures. I had the privilege of meeting Muhammad Ali a number of times, and while the Parkinson's disease that ravaged his brain had already reduced his ability to communicate verbally--it never diminished his spirit or his will to keep fighting. Like Michael J. Fox, with whom I've spoken before Congress about Parkinson's research funding, Mr. Ali had a strength and a drive to raise awareness about Parkinson's. He encouraged support for researchers like myself from around the world who are driven to solve the mysteries that are neurodegenerative diseases and discover cures. While much has been made about Mr. Ali's boxing career and its connection to his development of Parkinson's, there are many factors that could have played a role in his illness, including genetics, concussions, and inflammation of the brain caused by repeated blows to the head. We have been working for over 15 years in my lab at McLean Hospital, the Neuroregeneration Research Institute, to unlock the links between genetics, age and inflammation and how these conjure up in the brain to increase a person's likelihood of developing a neurodegenerative disease, such as Parkinson's, Alzheimer's, ALS, and in some cases, autism. If you have the genetics for Parkinson's you are not destined to develop the illness. We have learned that one factor alone, such as carrying a change in a gene that increases the risk for Parkinson's, is typically not enough to develop the disease early in life. Over a lifetime, we believe that Parkinson's and several other neurodegenerative diseases are caused by genetics AND some kind of trigger in a person's life with age. For example, inflammation in brain tissue caused by either genetic susceptibility or triggered by accumulating cellular proteins and external events, such as severe concussions, will leave the brain more open to injury. Watching football, hockey or boxing, I cringe when I see a player take a hit to the head. I think about the damage being levied against the brain and am concerned that those athletes will be at a higher risk for developing neurodegenerative disease. There is a great deal of debate in sports and in our society about head injuries and disorders of the brain. Published work show that people who have had inflammation of the brain due to head trauma, viral or bacterial illnesses are at a much higher risk of developing a neurodegenerative disease. In fact, individuals who have lost consciousness due to head trauma are 50 percent more likely to develop Parkinson's disease. While our work is already showing that combinations of genetics, specific neuronal proteins, lipids and inflammation are key factors in neurodegenerative diseases, much more work is needed. For Muhammad Ali, for Michael J. Fox, and for the millions of people who currently fight valiantly against Alzheimer's, Parkinson's, ALS and other neurodegenerative diseases, we will continue to fight along side of you--each day--in our laboratories until we have the answers we need to develop cures. 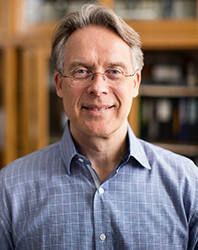 Dr. Ole Isacson is a professor of neurology at Harvard Medical School and founding director of Neuroregeneration Research Institute at McLean Hospital. His work is focused on the understanding and treatments of neurodegenerative disease, with particular emphasis on distinguishing critical mechanisms and treatments of neuronal vulnerability at the onset of disease, or new restorative treatments using stem cells after symptoms. He is author or co-author of over 300 scientific research articles and several books in his field.